Srovnatelnost Schwartzovy hodnotové škály v mezinárodních datech | Sociologický ústav AV ČR, v.v.i. Anýžová, Petra. 2014. „Srovnatelnost Schwartzovy hodnotové škály v mezinárodních datech.“ Sociologický časopis/Czech Sociological Review 50 (4): 547–580. ISSN 2336-128X. 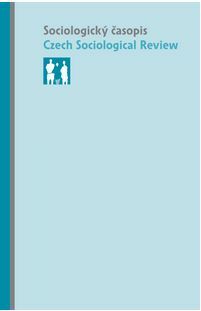 Dostupné z: http://sreview.soc.cas.cz/cs/issue/172-sociologicky-casopis-czech-sociological-review-4-2014/3440. The first part of this article looks at the comparability of the cross-country PVQ scale tested on the basis of the Sixth Round of the European Social Survey. To test comparability, the classic 21-item tool is used to measure ten different types of value orientation. These value types are based on Schwartz’s original basic human values theory. In order to test equivalence, a multiple group confirmatory factor analysis (MGCFA) was used. The results of the analyses show that the configural and metric equivalences of all seven value types are valid in only 10 out of 23 countries. However, even in those 10 countries, it is impossible to fully rely on scalar equivalence. For more detail, in many countries it is possible to carry out valid comparisons of relations and value types, as well as of other value attitudes or socio-demographic indicators. However, it is not possible to compare national averages of the seven value types. The article then demonstrates that the seven value types are longitudinally comparable across every round of the ESS in the Czech Republic. The second part of the article points out some of the problems in the Czech Republic with the PVQ comparison between different social groups delineated by gender, age, and education. While the averages of the seven value types can be sometimes compared in all groups (male, female), in some cases it is necessary either to amalgamate the groups or to decrease their quantity (age groups, education levels of groups).